via NJ BIZ – The financial crisis brought New Jersey’s for-sale housing sector to its knees — and developers of luxury condominiums were among the hardest hit by the meltdown. But some builders are slowly coming back to the asset class, experts say, driven by the demand for high-end units in the state’s prime locations and the sheer lack of supply after many projects were put on hold or converted to rentals during the downturn. ”The demand is unbelievable,” said Martin Brady, executive vice pres­ident of sales and leasing for The Mar­keting Directors. The New York-based real estate consulting firm has several condo assignments in North Jersey, in­cluding The M at Englewood South in Englewood and Trio in Palisades Park. 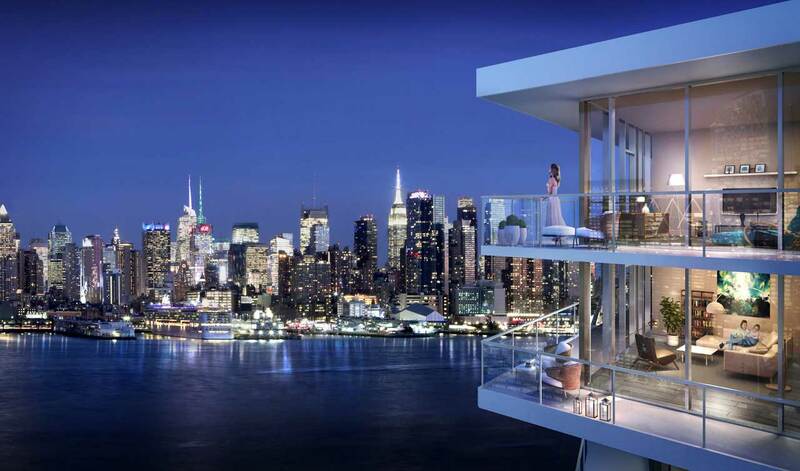 Some five miles away, in Weehawken, Lennar Homes last summer opened the first piece of a five-phase condo project known as the Avenue Collection. A spokesman for the homebuilder said the 74-unit building is 75 percent sold out — with units ranging from $1.1 million to $2 million — and a 103-unit second phase already underway. The activity comes amid measured improvement in the state’s condo market. Sales of condos and townhomes reached 20,714 last year, up 0.5 percent from 2013 and 22 percent from 2012, according to the New Jersey Association of Realtors. The median sales price reached $255,000 in 2014, up 2 percent and 4 percent from the previous two years, respectively.